Ever considered Cross Country running? Fancy trying something different this month? The Welsh Cross Country Championships offer club runners of all abilities the opportunity to participate on a multi-terrain course with competitors from all over Wales! 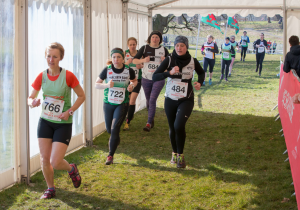 What are the Welsh Cross Country Championships? The Welsh Cross Country Championships occur annually, around late February, and offer runners aged 11 all the way up to Seniors and Masters (many runners as old as 80 will participate) the chance to compete against other runners from all over Wales. Each race is categorised by age group, and the first finisher across the line in each race is crowned Welsh Champion. The event is open to any runners who are registered with a running club in Wales, and offers the opportunity for anyone and everyone to take part - regardless of your ability levels. The Men's race is just over 10km in distance while the Women's race is just over 7km. With it being a cross country event, the terrain is mostly on grass with a few twists and turns and short hills, and this year's event also includes some areas of sand (with the event being right on the beach virtually!). If you don't fancy running yourself, you can bring younger family members along to compete in the Junior races, or you can also just come along for a family day out and watch all the action unfold! When and where are the Welsh Cross Country Championships? This year's event will take place on Saturday 23rd February at Pembrey Country Park, Llanelli. It's a beautifully scenic location, and the park offers a number of other attractions to keep the family entertained for a great day out too! Where can I find more information about the Welsh Cross Country Championships? If you wish to run and are a member of a Welsh Athletics Affiliated Club, you still have time to enter the Championships - with entries closing on Thursday 14th February. Further information about the event can be found here, or across Welsh Athletics' Twitter and Facebook pages.